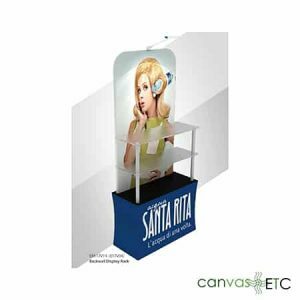 Trade Show Displays | Huge Selection | Booths & Counters | CanvasETC. We have your fully customized trade show displays ready to get to work for you! Many options are readily available for you to consider, including variations of booths and counters. Maximize the effect of your branding efforts and ensure that your presence is known and realized at any trade show, event, venue or gathering! Today, let’s talk about the importance of trade show displays, what your options are and how to get the most out of your next expo. 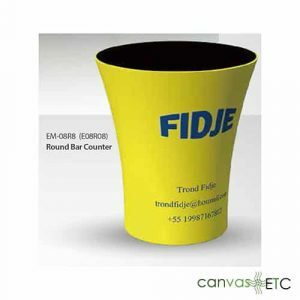 We have the best trade show display options for your specific needs. 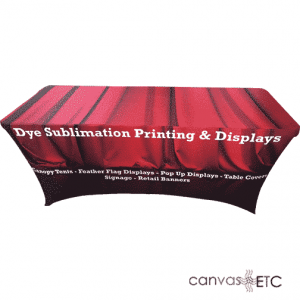 Our trade show display booths come complete with all hardware and customized printed fabric. Transportation (with the use of the free carrying case) of the display is convenient, and set-up and take down are very simple. 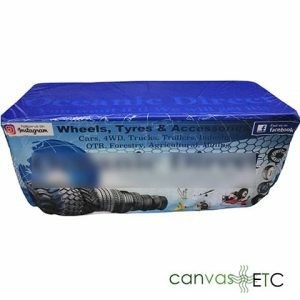 Canvas ETC understand how important being prepared for a trade show is. That’s why we offer a complete solution to your trade show needs. Feel free to contact our trade show display experts today if you need assistance in customizing your trade show display. Displaying at an expo has numerous advantages. Regardless of whether it’s getting visibility, or validity – displaying at a public expo gives you an powerful stage for meeting new clients. Now and again, your presence at a trade show shows your company’s industry that you’re a solid competitor or partner and brand. 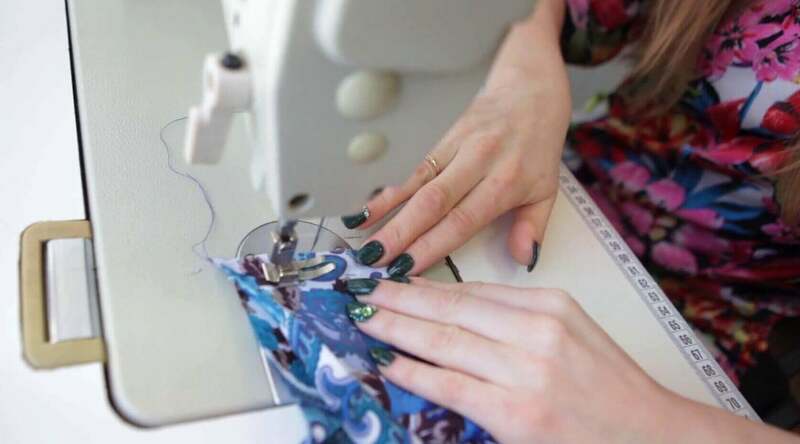 In terms of the expense of going to trade shows, numerous brands do not attend. Building up a public display, preparing staff members, and making a trip to the occasion is costly. At times, a few brands “cut corners,” starting with their trade show display. Let’s talk about your options when you consider building your own custom trade show booth. 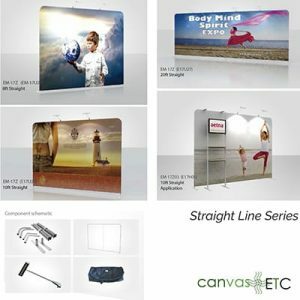 There are also 4 different and distinct Wall Dimensions for you to consider, and to ensure that your trade show display booth meets the exact physical location parameters to maximize utility and presence. Our trade show booths can also be printed on one single side or select the double sided print option if this option suits your needs better. The extremely quick install for these counters amounts to merely using pipe and frame to attach the top and bottom structure, then wrap the structure with the printed fabric. You are done with your set-up in under 30 seconds! What goals do you want to set for your upcoming trade show? Having a plan like this will help when you are creating your trade show display and creating a lead capture activity like a game. Are you looking to gain warm leads? Get people to sign up for your newsletter? Just meet people and get them to notice your brand? Depending on your goals, you’ll want to decide what trade show booth is right for you. For instance, if you want to get up close and personal with attendees, consider an open floor plan that allows people to walk in and meet you (rather than one with a large booth counter). What’s for sure: what booth design you choose directly impacts how attendees interact with your brand and staff. So, choose wisely. Your booth needs to have your ideal customer in mind. What does that mean? A trade show display needs to quickly communicate information about your brand, your services, and your products. In addition, it needs to explain to attendees why they should choose your brand over competitors. Whatever your selling point is, make it abundantly clear in your marketing so that passersby can see it at a glance. Also, train trade show booth staff so that they have an “elevator pitch” ready. Trade shows are all about communicating as much as you can in as little time as possible. Our trade show displays (and many options) ensure that you take maximum advantage of the allotted trade show space/ real estate. 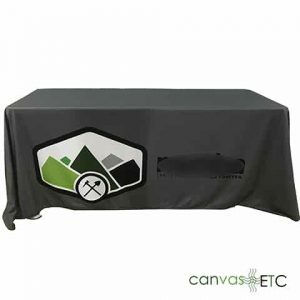 Easily portable, and ready to go, this graphic backdrop conveys your message with great detail and will ensure that your Brand/ Your message really stands out from the crowd and generates that most critical attention, interest and remembrance. Trade show displays are about promotion. But the promotion doesn’t begin at your show. Be sure to promote your presence at the show before the show begins. In the weeks prior to your trade show appearance, be sure to hype your attendance on social media, your website and to your current clients. You can do this via email or just place a little blurb in your email signature. Be sure to include dates, location and your booth number. Feel free to also reach out to industry publications to see if they will allow you to post a guest blog or promote your presence in some way. Your brand deserves to shine, and our booths and counters will give you the perfect platform to ensure that maximum brand exposure is realized. 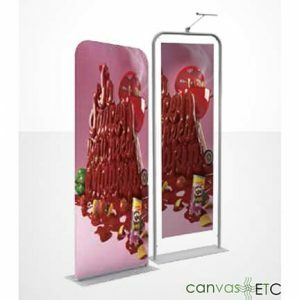 Get return on investment and get more business with Canvas ETC’s trade show displays. Spandex table cloth options are widely available, and include: white spandex table covers; black spandex table covers; stretch tablecloth; stretch table covers and table top covers; lycra table covers; spandex table linens; spandex table top covers; fitted spandex table covers; round high top table covers; spandex linens; spandex bar table covers; spandex cocktail table covers; and spandex cocktail tablecloth.